Since topographic mapping services aide in smarter route planning, high level decision making for both transport and telecom industries, clearer thematic data preparation, as well as disaster management, 3D topographic maps have become an essential requirement. Outsource2india's topographic mapping services help in thematic data preparation and route planning which make disaster management easier for telecom and transport services providers. Our 3D topographic maps are comprehensive and cover hundreds of square kilometers in detail and with precision. We have executed many large scale 2D/3D topographic mapping assignments, keeping in mind the specified projection parameter and planimetric details. With over two decades of excellence in offering solutions for geographical information systems, Outsource2india has established itself as a trustworthy service partner to a growing list of clients, which includes utilities, transportation, mining, municipal, public land administration industries, etc. At Outsource2india, a team of expert photogrammetric professionals provide support, planning, and engineering for several varied requirements involving topographic mapping. With two decades of experience in engineering support services provisioning that covers a comprehensive list of planimetric mapping, orthophoto production, digital terrain modeling, volumetric calculations as well as change detection services, Outsource2india meets a wide range of client requirements with ease. Outsource2india provides multi-dimensional topographic maps that ensure a better understanding of the geographical location under study. Digital topographic maps depicting water areas, roads, railways, vegetation, and forest areas, etc., are accurately created by the experienced and skilled team. This includes determining horizontal locations, elevations, contours of natural and man-made features, computation of angles, distances and elevations, electrical asset mapping, and more. Outsource2india undertakes strenuous research with respect to both quantitative and qualitative aspects. This involves studying both natural and man-made features and also the respective elevations. The team conducts topographical mapping or surveys of any terrain globally with service centers in multiple locations. Whether it's for camping, canoeing, hiking, resource planning, or infrastructure development like road and railway planning, urban development, industrial planning or military; Outsource2india has the solution for you. The terrain keeps changing as humanity evolves and nature takes its course. 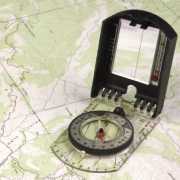 This mandates the need to up-to-date topographic maps. Experts at O2I can help you maintain the latest maps with ease. Why Choose Us for Topographic Mapping Services? Cost Saving - Outsource2india understands the value of client's investment in both monetary as well in terms of time invested and provides topography maps at the lowest prices while ensuring maximum precision. Technology Expertise - Our topographical maps are developed using photogrammetric methods. These methods involve studying and interpreting aerial photographs, LiDAR Data sets, and other necessary data. Once this is done, interpretations from the maps are derived by using the softcopy. We use high-end mapping technology for best results out of topographic surveys. Quality and Confidentiality - Outsource2india understands the importance of topographical mapping for geographical or infrastructural planning. Ensuring that proper topographical surveys and qualitative analysis is conducted while maintaining a high degree of precision, we use quality control at every level, and all this is done within the proper legal frameworks. Best Infrastructure - We have access to the best infrastructure in terms of world-class office spaces, uninterrupted network connections, and the best topographic mapping tools and technologies. End-to-End Services - Not only outsourced topographic mapping services in India, but Outsource2india also helps the clients read through the maps and derive the maximum benefits by proper study and interpretation. Zooming Capability - The topographic maps provided by Outsource2india can be zoomed up to 250% percent, so the client is able to view each and every aspect of the map accurately. We aim at providing zooming capability while ensuring minimum to no errors. Single Point Contact - When you outsource to us, we assign a project manager who will be a single point of contact and will keep you updated about the project status at all times. 24/7 Availability - Our engineering team will be available 24/7 via phone of email to ensure that all your queries are addressed immediately. At Outsource2india, our team of highly qualified, motivated, and experienced professionals, combined with the latest technical facilities aide us in becoming one of most preferred outsourcing providers of topographic mapping services and several other civil engineering services. Topographic mapping requires a lot of attention to detail and proper project management to be implemented and that is exactly where Outsource2india stands apart. Upon partnering with Outsource2india for geospatial services, you can be assured that your work will be completed on time as per the standard guidelines with utmost efficiency and transparency. If you have any queries regarding topographic mapping in India or are planning to outsource topography maps to India, look no further, get in touch with us.